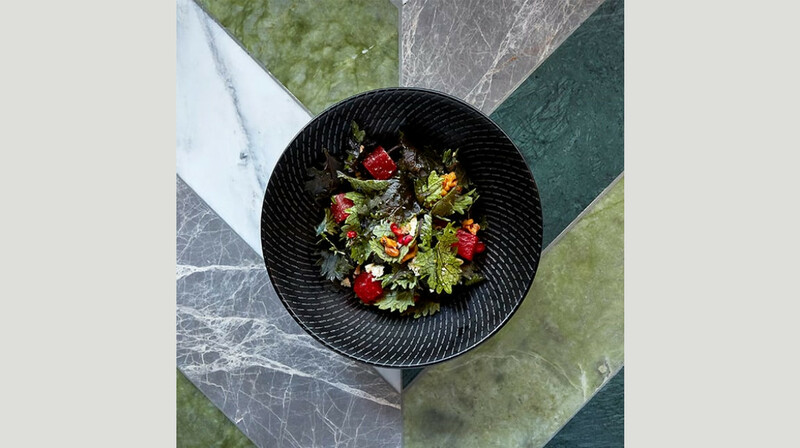 Embrace some of the best regional and seasonal produce New South Wales has to offer at Solander, a modern Australian restaurant in the heart of Sydney. 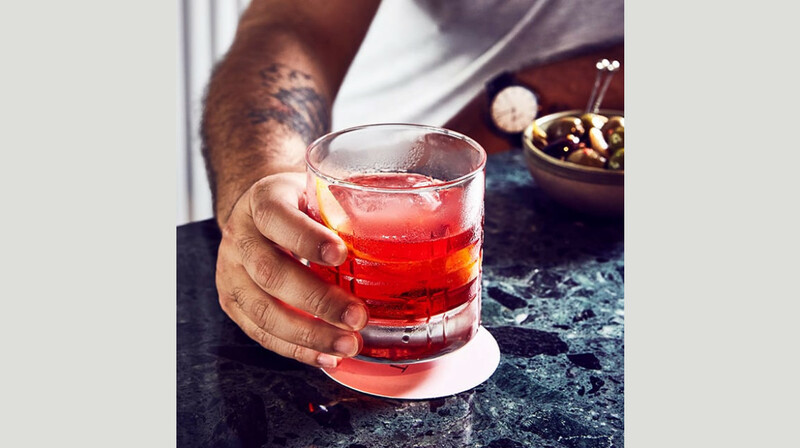 Named after first fleet naturalist Daniel Solander, this venue bases its food philosophy on its namesake with a botanical-inspired restaurant and bar. When Solander arrived in 1770 he extensively explored and researched the region’s flora and fauna. Like him, the restaurant has researched the region’s best available produce and has chosen to work closely with a number of small, local suppliers to help find fresh and local ingredients, as well as some niche native plants and animals. Belgian-born executive chef David Vandendeele brings 20 years of international experience to the table. 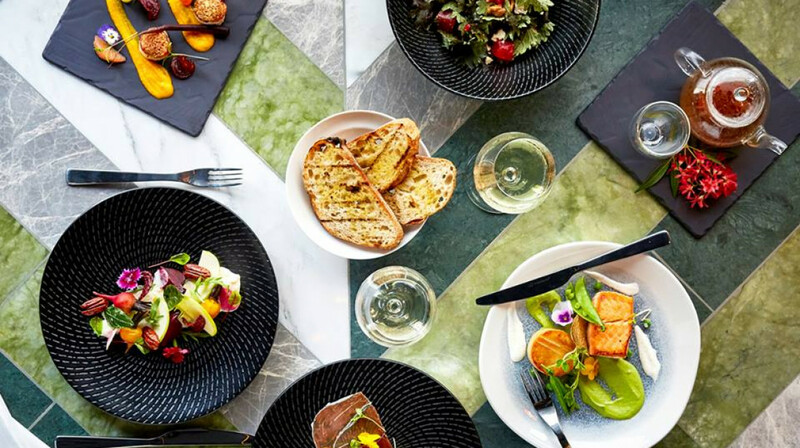 Start with an elegant entrée of double-boiled chicken tea with goji berries, ginseng and ginger, or whet your appetite with one of the fresh seafood specialties, including Sydney rock oysters and charred green prawns. 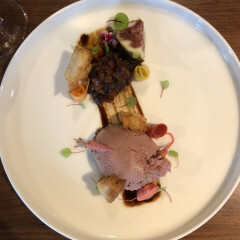 Mains are divided between 'flora' and 'fauna' and you might find wallaby shanks, wagyu beef cheeks or beetroot risotto with goat's cheese. The menu includes a variety of vegetarian and vegan options. 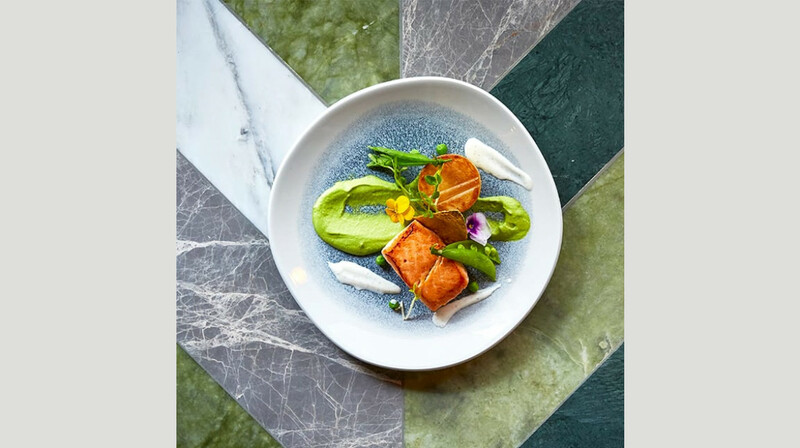 As well as presenting an upmarket menu that reflects a botanical influence, Solander embraces a naturalist feel with the open-air jungle-style atrium and the emerald green terrazzo marble bar. 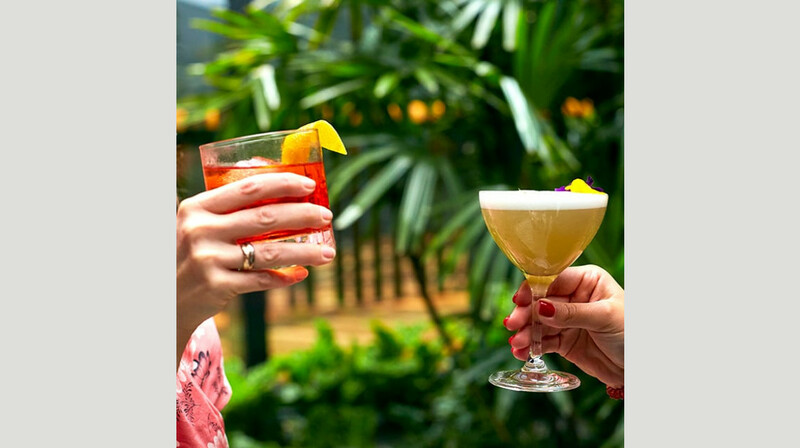 Enjoy one of the venue’s special cocktails here after you’ve indulged in a little dessert—the perfect way to end your night. 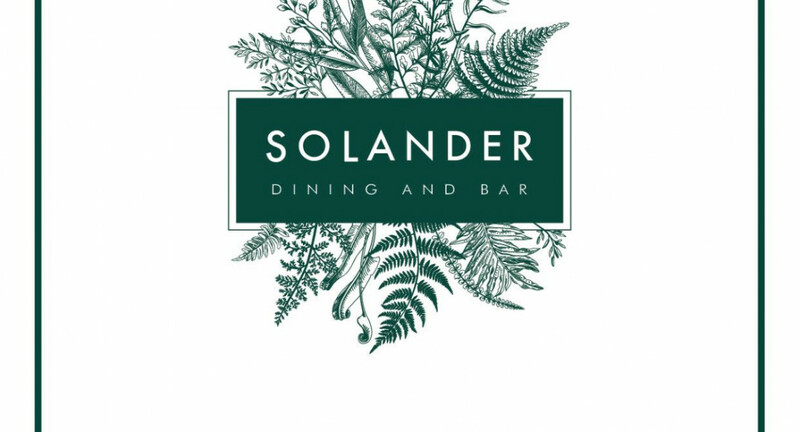 If you’re looking for somewhere to take a date or simply a venue to enjoy great food with great company, Solander is a wonderful choice. My friend and I enjoyed lunch here. The food was plentiful and terrific, and the service was impeccable. We ordered too much food but they kindly packed away the leftovers for us. I highly recommend this gem in the city! 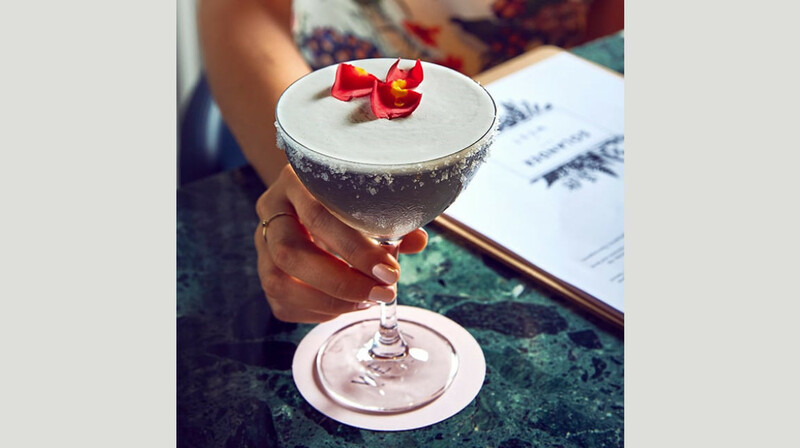 We were delighted to get a 6 pm reso and a confirmation at this fine restaurant through First Table; however, the day of our reso, we received an email from Ivan Chu, assistant restaurant manager, saying he could not honour our reservation because the restaurant was overbooked. We sent an email saying we'd received confirmation, however, no reply. At noon we called the restaurant and the hostess assured me, after speaking with the manager, that our reservation would be honoured. We enjoyed a delicious dinner but our experience was somewhat tarnished by Mr. Chu's email. BTW, the restaurant had several open tables. Perhaps Mr. Chu was hesitant to seat First Table guests? Excellent food!! The restaurant's lighting is a bit dark but the food was so good! The bread is really good and has a unique taste. This restaurant really explores Australian modern cuisine. Beautiful food! And the service was excellent. Highly recommend. Excellent restaurant with a unique 'Flora & Fauna' approach to the menu... some really inventive dishes and the use of local ingredients is perfect. Bread baked in a plant pot & Wallaby brew were my favourites! Beautiful setting, great table, excellent service and the food was good! Thank you! Lovely food & great service. Only complaint would be that the Venison Cutlets (which were the most expensive dish on the menu at $43) were only 3 very small cutlets, although they were very nice. The mushroom gnocchi on the other hand was absolutely delicious, came in a huge portion and was half the price. I would definitely go back for a date night. The food here was just wonderful presented beautifully. I had the salt baked chicken which was possibly the best chicken Id ever had. The atmosphere here is really nice too. The service, whilst very pleasant was a little hit and miss; I wasn’t given a glass for my beer and part of the order was missed. Small things, overall a wonderful experience. Fabulous food with excellent service. Thanks Solander for a wonderful lunch! Couldn’t fault a thing. Great place, nice vibe. Interesting cocktails and delicious food. Really nice restaurant, with great decor and ambience. We were seated next to the window in plush couch-like chairs and it was a very cosy experience. Ambitious menu using local produce. Food was presented very well with obvious care in plating. I had a lovely experience and would return again. The restaurant has lovely ambiance. We had the Explorer Menu. The food was interesting. However, the cutlery that we had were not polished, they had drying marks/water streaks on. Waiters were friendly, but not attentive. Our table bread crumbs were not swept before the dishes were served. It was a very good experience and the food was delicious. Service was attentive. On a QUITE night, Musells & Grill bugs cook perfectly, Kingfish bit dry lacking taste, excellent thick chips & sour dough bread. Wine list ok but no focus. Servers good understanding of menu. Fantastic service and beautiful food. Highly recommend. Our waiters were so friendly, very well mannered and attentive! And the food was so interesting and tastey! I went with 2 friends for brunch. The food was spectacular. The staff were professional and even kindly helped me organise a birthday dessert on the spot for someone on our table. I am giving 4 stars for service only because the cashier didn't have a friendly demeanour, but that's really quite minor. Overall we had a wonderful experience. Solander Dining & Bar is a lovely fine dining restaurant disguised as a hotel restaurant. The food is delicious and creative, with a young a dynamic team ready to give you best advises if the incredible menu confuses you! Waiter was very friendly and went to a great effort to let me know what I could eat with my dietary requirements. We had a lovely meal here. Arrived early so had a beer & bubbles at the bar. Were moved to our dining table by a friendly staff member. Ordered oysters Kilpatrick and the gin cured salmon for starters. Both were absolutely delicious. Next we chose the beef cheeks with shitake mushrooms and Kakadu plums, fillet steak, wok fried sprouted broccoli and warrigal greens. My husband said he has never tasted meat as tender as these cheeks, it just melted in your mouth. My eye fillet was cooked perfectly, no need for the steak knife at all, and I let some little cubes of steak soak in the red wine jus - delicious! The sides complimented our mains perfectly, the Warrigal greens having a distinct "bush" flavour and the brocolli was presented beautifully. Both sides were ample serves. We would most definitely return here, meals were delicious and service was great. I cannot recommend this restaurant enough, the food was absolutely incredible! We went for a birthday and every single dish we ordered was 11/10. 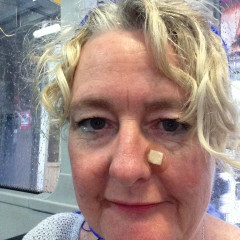 The only thing I could fault was the ambience could have been improved with music as it felt everyone was not talking very loud so others would not overhear their conversation. This is our first and last Anniversary dinner before the baby come! Very wonderful dinning experience! 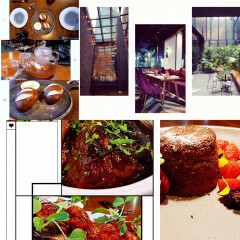 My husband enjoyed a lot about the Architecture and interior design as an Architector; while me, as a foodie, really enjoyed the food! Must try the Double boiled Chicken Tea, warm and flavorful, perfect for the rainy weather; Sous Vide Wagyu Beef, tender and tasty; and the Choc acacia fondant is just the perfect ending for the night! Go and try, you’ll love it! Great atmosphere, very nice good. Elegant setting and lighting. Will return again. The restaurant is beautiful. Food is simple and delicious. 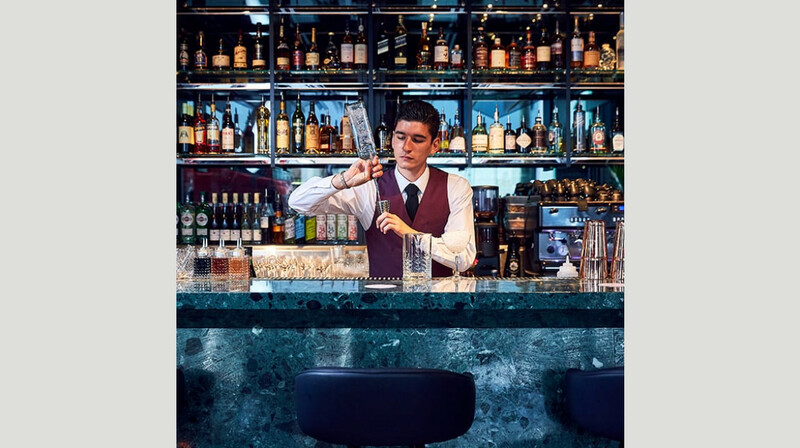 Service is efficient and friendly. it was my 4th time to dine in Solander. food and service is good as always. i love to go there because their menu changes time to time i would say every time i go there i have different beef dishes and they are perfect. The plating is finesse. Highly recommend their oyster, beef and chunky chips. Love it. Service was excellent and we really enjoyed our food. The staff gave us a lot of care and made our evening memorable and special. We will be back! We had a lovely meal, really good use of different produce. The staff were very accommodating and helpful. 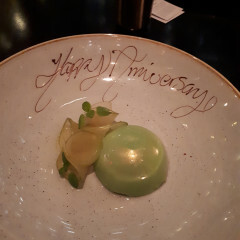 The evening was perfect from start to finish: the service was wonderful - the staff didn't have to write anything down yet we got everything exactly as we asked for it (even with alterations!). Our waiter Luca was especially helpful with his wonderful understanding of the menu which was absolutely scrumptious. The gin-cured salmon, the charred green prawns, and the venison rack were standouts in their field, but you could not go wrong with anything on this menu! Wonderful dinner. The thought and presentation that went into each of the dishes from both a taste and appearance perspective was far above my expectations. Locally sourced produce meant each dish was fresh and vibrant. Great night out - thanks. Delicious food and excellent service! Will absolutely be back for me. Only thing to note is the Explorer menu is not available on the 50% off. We still managed to try most of those dishes and for not much more! Dining at solander was excellent. Staff were attentive and professional. The food was fantastic. My girlfriend and I had a wonderful time at solander dining and bar. The food was a taste sensation and the presentation was beautifully done. No faults could be given to Daniel and the rest of the staff, their knowledge and recommendations showed great experience. We would love to eat here again in the near future! 10/10. 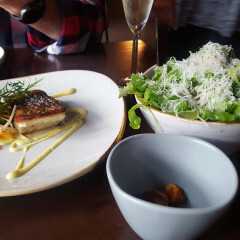 Loved the food and service, real focus on Australian ingredients such as warrigal greens. Best yet, we could have a conversation without having to shout at each other; really pleasant elegant experience. Great food, atmosphere and service. Didn't know this place existed until finding it here, will definitely be back. Second time dining here and the food just gets better. 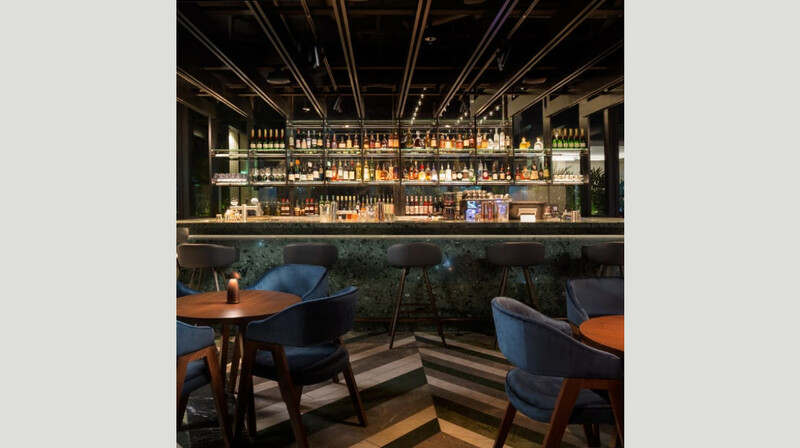 A classy atmosphere with a great lounge area for pre-dinner drinks. 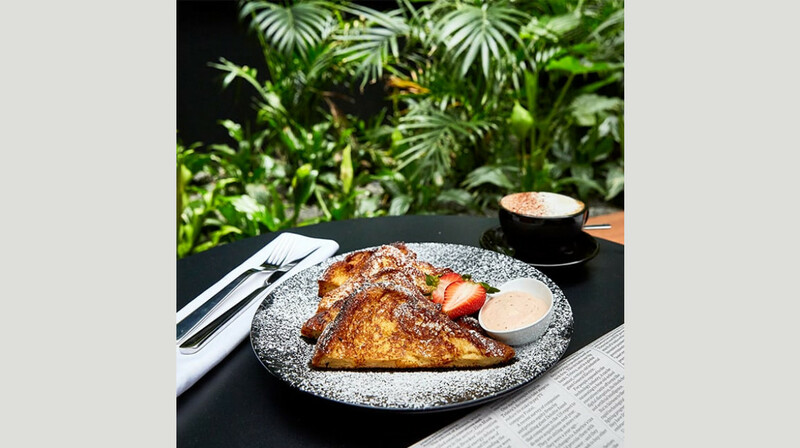 The idea of food based on Australian flora and fauna is quirky and fits with the link to Solander and botany. This time we started with the banksia and acacia pot bread with black garlic butter, more than enough for the three of us and delicious. For mains we has salt crusted chicken breast, braised wallaby shanks and fish of the day, king fish. All were excellent choices with interesting flavours using lemon myrtle and wattle seed. We shared sides of chunky chips with garlic aioli and broccolini. The garlic was not over the top. We even had room for dessert, popcorn panna cotta with salted caramel mousse and chocolate acacia fondant with blackberry sorbet. To some food overload, but for us, AMAZING. I have recommended it to all my friends and will definitely return again and again. The staff are also great and very knowledgeable about the dishes. Well done. We ordered the double-boiled chicken tea that taste fulfilling to the soul. For entrees the charred green prawns has an appetising taste but there’s room for improvement for freshness of the prawns. Young Henry-braised wallaby shanks has a neutral taste and perfect texture. We love the ambience and definitely will return for the food. Solander has great atmosphere. The food was sensational. Every bite was like heaven. I would highly recommended this place to anyone. Loved the nice fusion twist to the food where the chef mixed the flavours of the west and Asia together producing dishes that burst with amazing flavours! The venison rack was cooked to well done as requested but still remained moist and tender! The king prawns were nicely charred and succielent. For dessert the lava cake had a balanced sweetness and perfect crunch on the outer layer of the cake with its hot oozing middle. Great service too! Will love to return soon! Thank you. Service was extremely slow and we were pretty much the only ones in the restaurant. Food was gorgeous though! Probably one of best dining experiences to date and was only made affordable through this website. Simply put, their worst dish was their panna cotta desert and I still loved it. I would definitely come back her, the quality of meat they use and the techniques used to prepare them was high class. If I had one critique that was the way my beer was poured (half foam half liqud) but easily looked past this due to the their friendly and authentic staff who seemed to have a passion for food. Great atmosphere and delicious food. Was great to share a variety of foods. The food was delicious! Get the green shrimp! And the service was outstanding. Cute little place too! Would recommend. Went here before a concert. Dinner was amazing. Such fresh produce. So interestingly presented. A great place to take overseas visitors to show off Australian food done well. Service was fantastic too. Thanks for a lovely night, Solander! The beetroot risotto was delicious. The beefs cheeks were OK, but would not have wanted to pay full price for them. Great food and great excellent service from out water Luca.